pAGG Stack Supplement System | Can it help you lose weight? | Does it work? Home » Review » pAGG All Day Stack Supplement System Review | What’s the hype all about? If you are overweight and you're worrying you'll pass the line of no retreat, then it's time to start with a brand new healthy diet as well as frequent exercises. If you're still worried about achieving any decent results, then it might be time to invest in a little bit of science that will help you achieve your goals. Of course, I am talking about weight loss supplements - or pAGG to be more precise. In fact, let's jump straight to action and see what exactly is this product made of! We all know just how difficult losing weight is, especially if genetics aren’t on your side. Some people take years to get down to their desired weight, whilst others manage it relatively quickly. It all differs from human to human. Fortunately for all, there are multiple ways to lose weight. The most common method that comes to mind is physical exercise. It’s true that physical exercise burns stored fat and buffs your muscles up, but is it enough on its own? Well, unfortunately, it isn’t. You will have to combine physical exercise and a healthy diet in order to truly start losing weight (without causing your body harm). The third component of the weight loss trifecta are supplements. Now, supplements are optional since they just speed up your weight loss progress, but are nonetheless helpful and sought for. They’re a healthy and effective way to reach your goals quicker. Today, we’ll be reviewing a pAGG Stack (we’ll talk about what pAGG means in a bit) Supplement System from New Health. But first, it’s important to let you know everything there is to know about the ingredients present in this stack. So, pAGG. What is it? pAGG stands for Policosanol, ALA, Garlic, Green Tea – the 4 ingredients that can be found in every pAGG stack. What makes each pAGG stack different is how well the ingredients are formulated and in what amounts, and what additional ingredients are in each one. 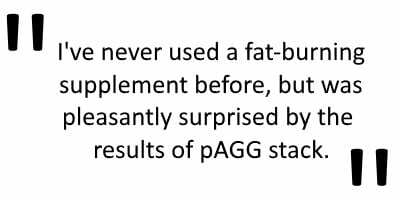 Now, pAGG is used to support weight loss. It is a stimulant-free supplement that uses ingredients which have been backed by science and research. The great thing about pAGG stacks is that they work for everyone; you don’t have to weigh a certain amount or anything like that; it’s universal! Here’s a closer look at each of its ingredients! Policosanol has a variety of uses that help people with certain conditions improve their overall health. It is used for leg pain if poor blood circulation is present. However, the reason it has a place in this stack is that it decreases cholesterol production and helps break down LDL (the cholesterol you don’t want). ALA, or Alpha Lipoic Acid, stops certain kinds of cell damage that might happen in your body whilst also regulating Vitamin E and Vitamin C levels. This makes ALA a great ingredient since it helps with physical activity by making it more effective. We all know that garlic is an amazingly healthy food that provides plenty of benefits. But, not a lot of people know why this is. See, when you crush or eat garlic, it releases a chemical compound called Allicin. Allicin reduces cholesterol levels and prevents cancer and heart diseases. The only downside of it is that our bodies can’t absorb it as effectively as we’d want, which is why supplement producers age the garlic so the allicin breaks down into an oil-soluble and water-soluble chemical compound containing sulfur that our bodies can absorb better. And who doesn’t love some green tea in their supplement? This is one of the healthiest beverages in the world so it’s no surprise that we’re seeing some form of it in pAGG stacks. It has powerful antioxidant effects and it improves brain function, reduces the risk of cancer, and helps with weight loss. Biotin is an extra ingredient found in the New Health pAGG Stack and it closes the loop when it comes to the ingredients. Biotin is a key player in metabolizing fats, proteins, and carbs, so in a way, it compliments the rest of the ingredients quite nicely. Unless you disregard the dosage instructions, you won’t encounter any side effects. In very rare cases, you might have an allergic reaction to an ingredient. Other rare side effects are nausea, diarrhea, and acne (from too much Biotin). Absolutely amazing! Besides, most pAGG products are great with only slight differences in final ingredients separating them. It just so happens that New Health managed to create the winning strategy! There’s no doubt that the supplement market is tough and unforgiving, but New Health has achieved success and that’s exactly what you’d want from a company like this. A proper product for not too much money is always a welcome sight. The people are happy; both the common folk and the passionate gym-goers. And when you have multiple people groups commending you on your success – well, what else do we have to say? All in all, we wholeheartedly recommend this product if you’re looking to lose weight and improve your overall looks. You get a night-time pack and a day-time pack. The New Health pAGG Stack Supplement System has everything you’ll ever need from a stack to reach your weight loss goals! Where to Buy pAGG Stack System? There are a couple of sources that you can purchase New Health pAGG Stack Supplement System from. One of these sources is buying pAGG Stack System via Amazon, which is obviously the best go-to option. It comes at an affordable price so you won’t have to dish out huge amounts of cash! Promotes weight loss, lowers the risk of cancer, and improves mental capacity and function. Loaded with antioxidants too. Lowers risk of cancer and heart diseases and brings cholesterol levels down. Is tasty and has a pungent smell (once crushed or eaten). Prevents cell damage and balances Vitamin E and C levels. Breaks down bad cholesterol (LDL) and decreases overall cholesterol production. Feeling sick to the stomach; urge to throw up. Can happen at any time for a variety of reasons. A skin condition where oil glands in the skin get clogged up and form pimples, spots, and occasionally cysts. The Cost of New Health pAGG Stack? The current cost of this product stack is $34.95 on Amazon. You get two bottles; one for use during the day, and one for use during the night. All of the ingredients in this product have been backed by scientific research and studies. Combined, they form a pAGG; a supplement that promotes weight loss and improves fat burn. There have been numerous studies done on this combination of ingredients and all of them have confirmed the effectiveness of it. Additionally, user reviews paint the same picture – it works! Does this pAGG Stack Have Alternatives? Considering that this product uses Biotin which further improves every other ingredient and makes the end result more efficient – there is no direct alternative. Where to purchase pAGG Stack From? You can buy the New Health pAGG Stack Supplement System directly from Amazon. Any other info you might be interested in can be found there! 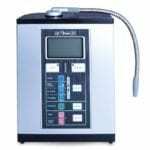 Aqua-Ionizer Deluxe 9.0 - Is This Alkaline Water Ionizer a Health-promoting Device?